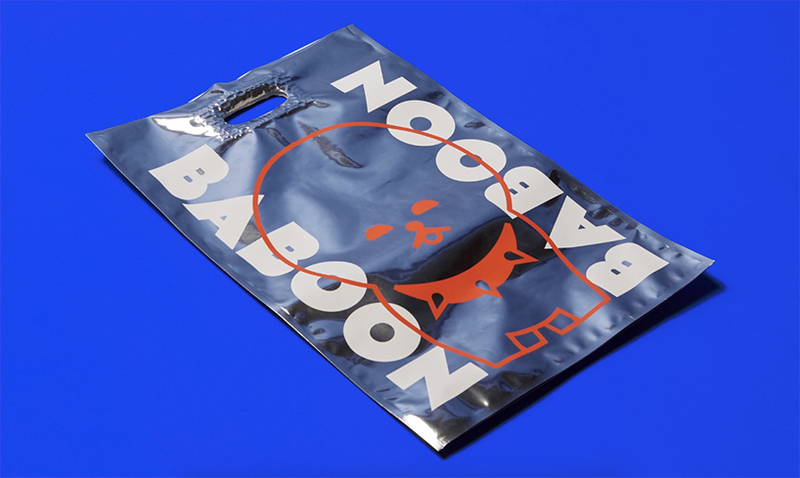 designed with the slash generation in mind — a term used to describe the multifaceted millennial with versatile lifestyles — BABOON is a start-up adventure company for adaptable, technical and super stylish travel bags. 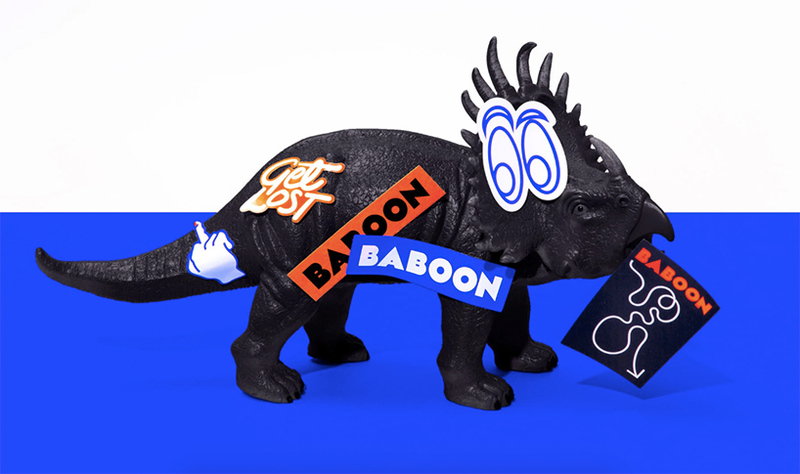 the brand tapped design powerhouse sagmeister & walsh to devise its bold identity. 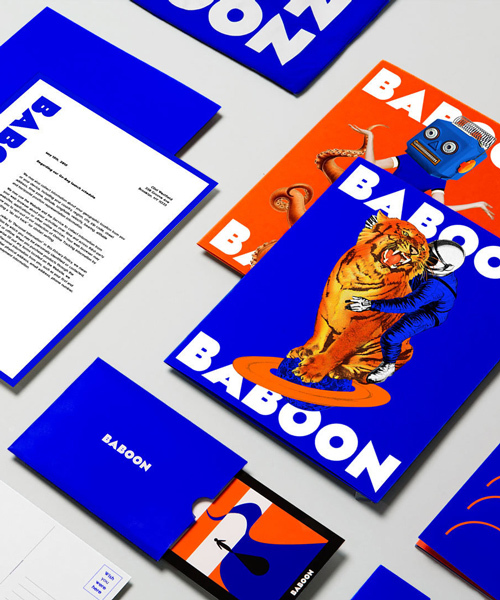 ‘BABOON wanted an identity that was irreverent, flexible, and full of weird surprises,’ the creative team describes. 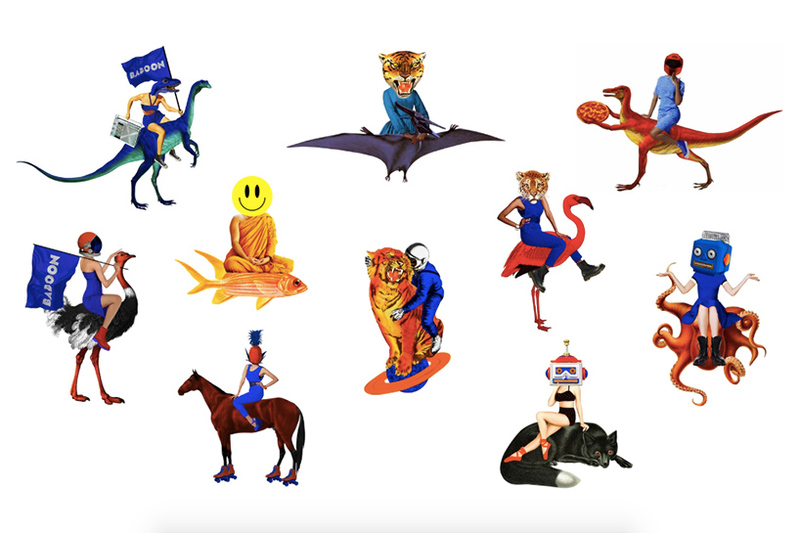 combat boot-wearing robots riding octopi and pineapple-faced females perched atop roller blading horses are only a few of the zany motifs sagmeister & walsh had in mind. 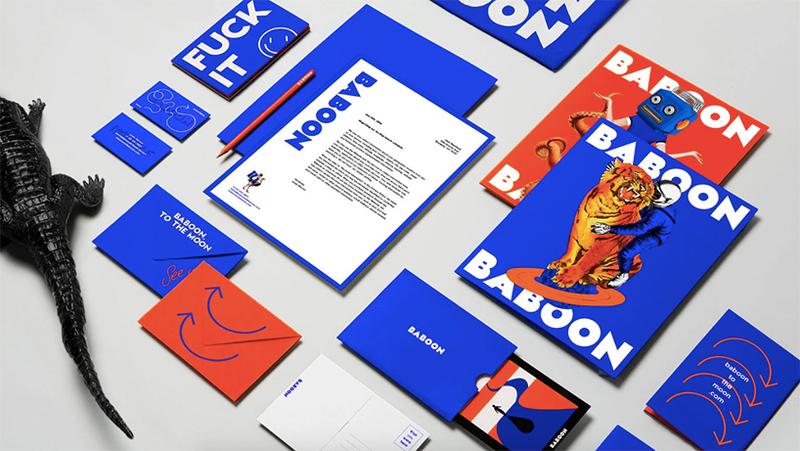 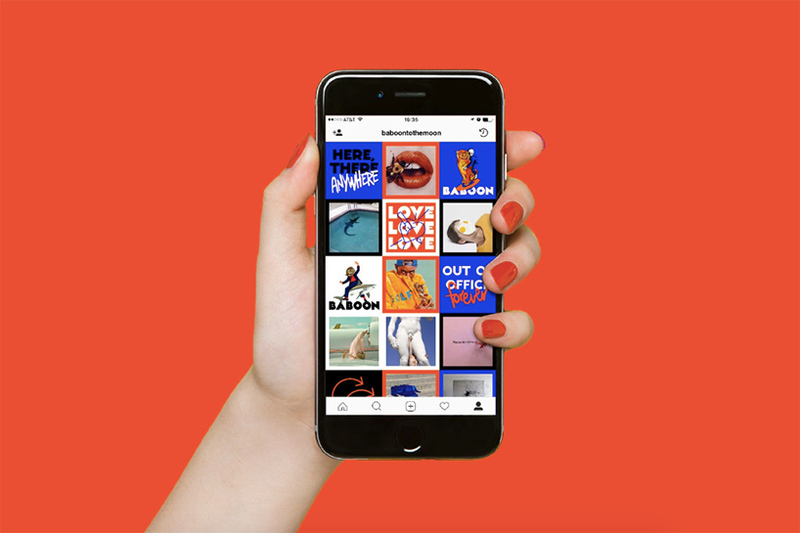 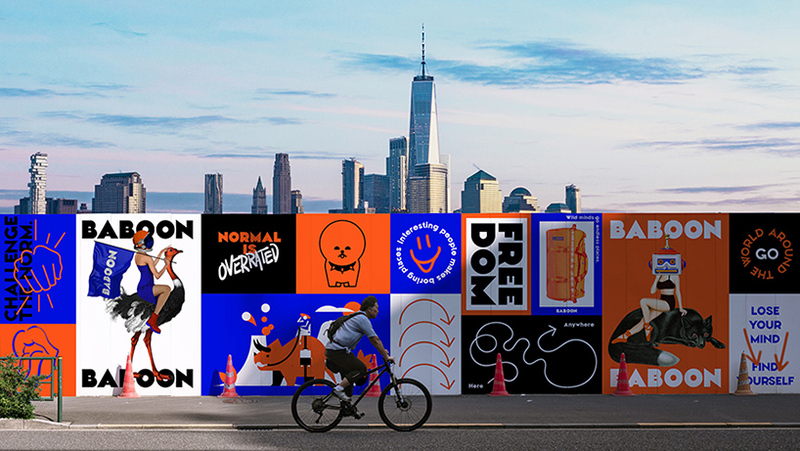 sagmeister & walsh was responsible for creating the name BABOON for the company, as well building its brand identity, accompanying illustrations, custom typeface, social media direction, and copywriting. 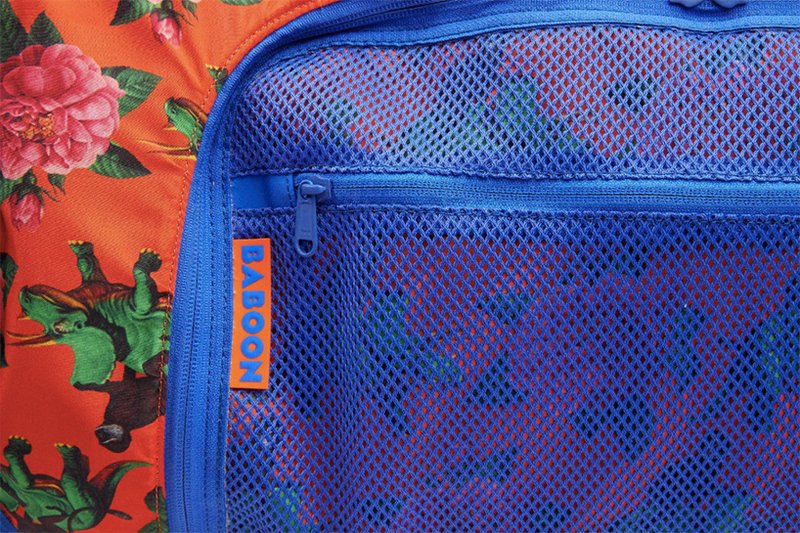 the S&W creatives also joined forces with the BABOON team on suggesting product design choices, and drew up a set of unique branded patterns for the interiors of the luggage dubbed ‘dinos in paradise’ (think monkeys riding a triceratops). 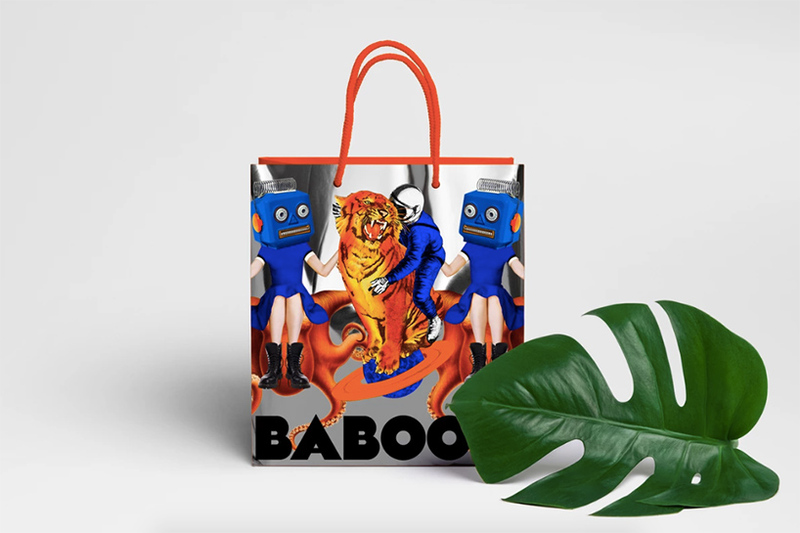 new pattern designs will be added to the line in months/years to come. 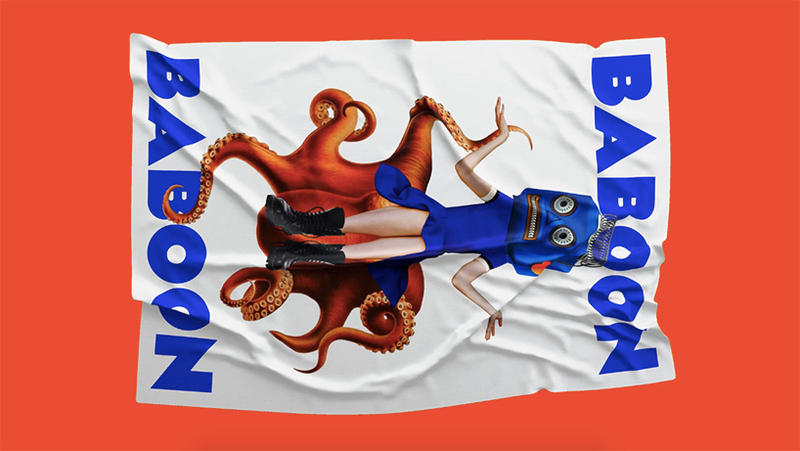 the large bag’s product description offers a taste of the company’s cheeky personality: the ultimate travel duffle bag. 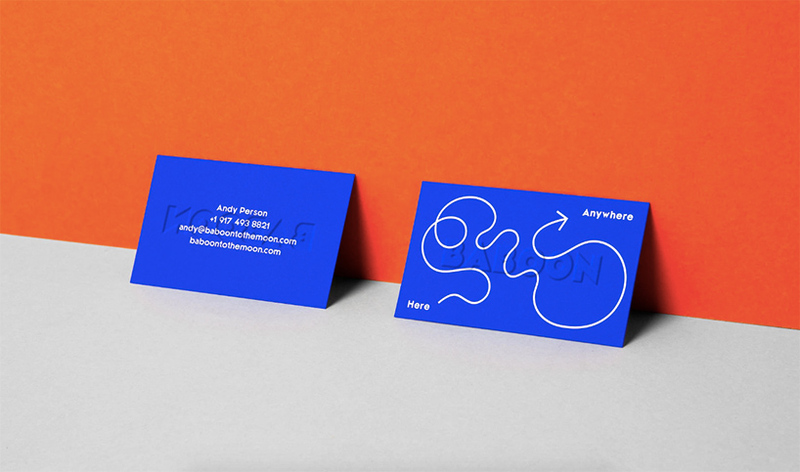 los angeles to hong kong, hong kong to taipei, taipei to vietnam, and back. 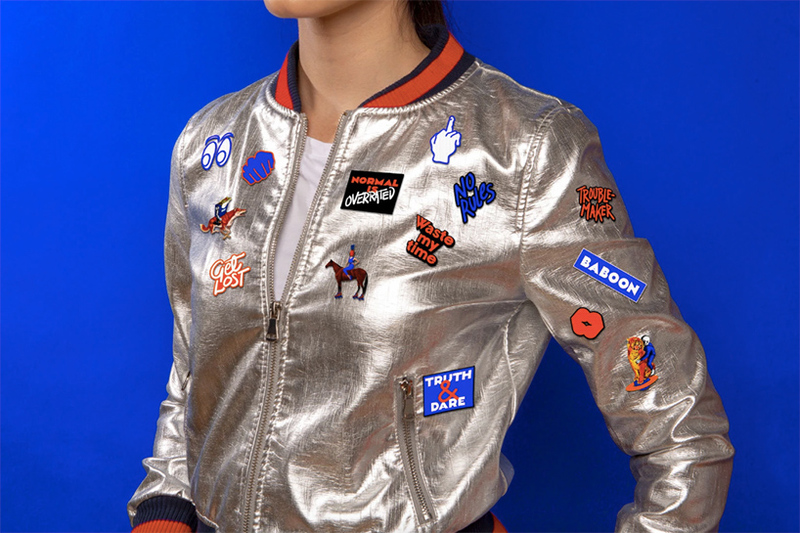 you’re going places, baby, and you need to fit at least one outfit per person you fall in love with. 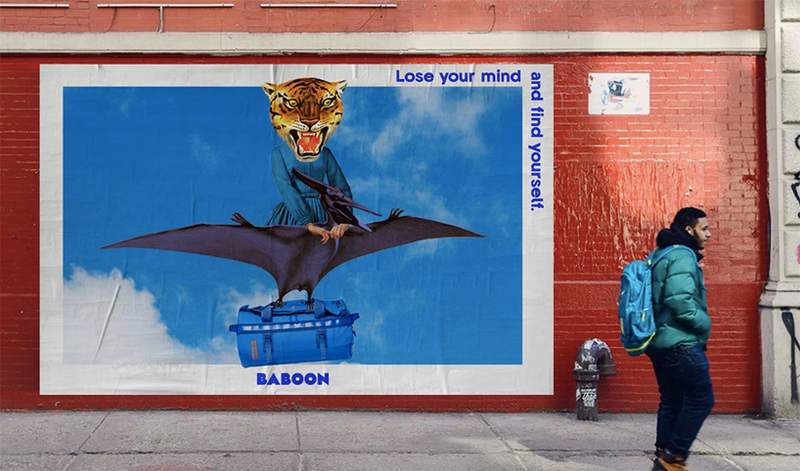 you’re traveling while traveling (look at you being so meta! 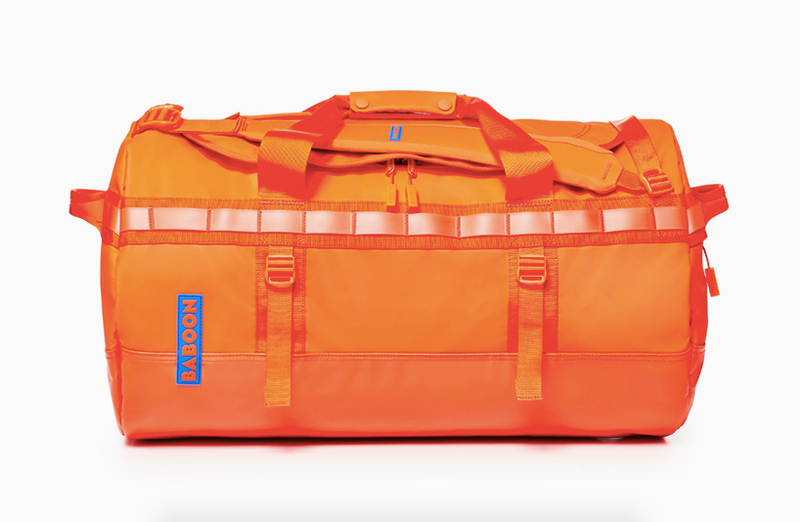 ), and the 60 liter duffle bag is big enough to pack a week’s worth of things but versatile enough to stash on the train, plane and blimp while blasting abba and eating pancakes.